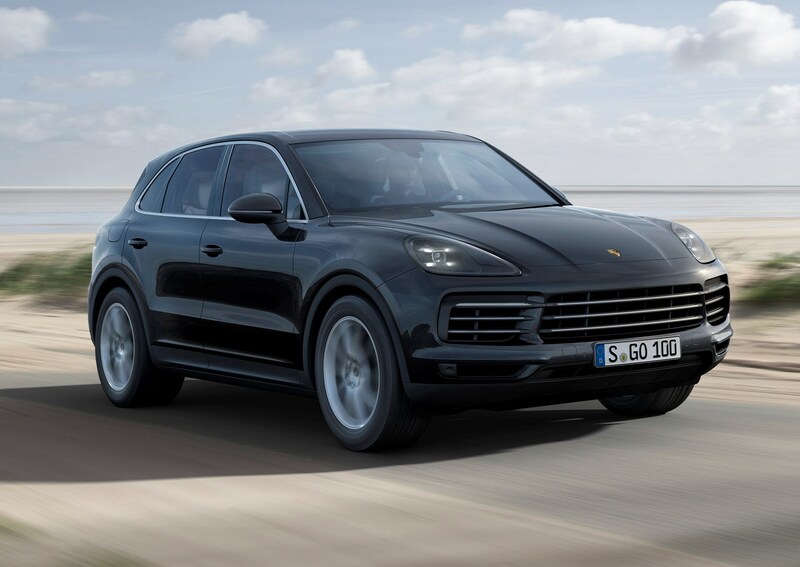 Which Porsche Cayenne SUV is best for me? 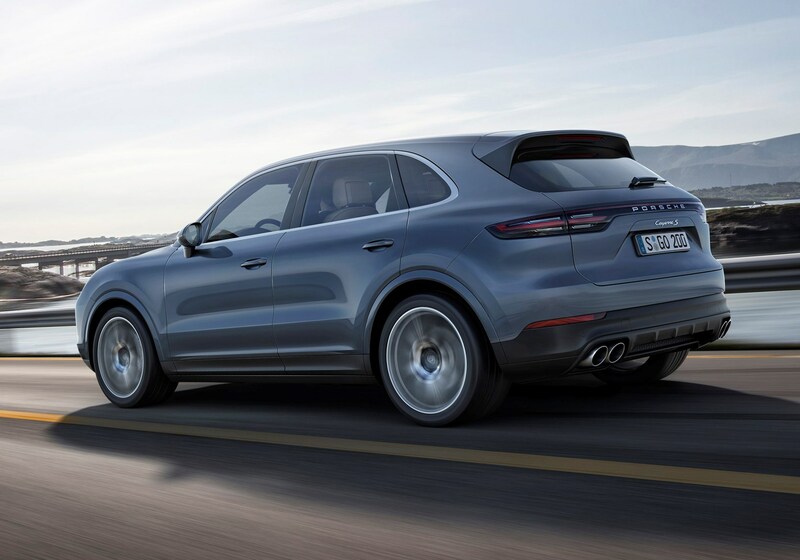 Buying a new Cayenne is likely to be a good experience, albeit an expensive one. You see, very few (if any) will leave the showroom with no optional extras and it’s possible to spend rather a lot of money here. 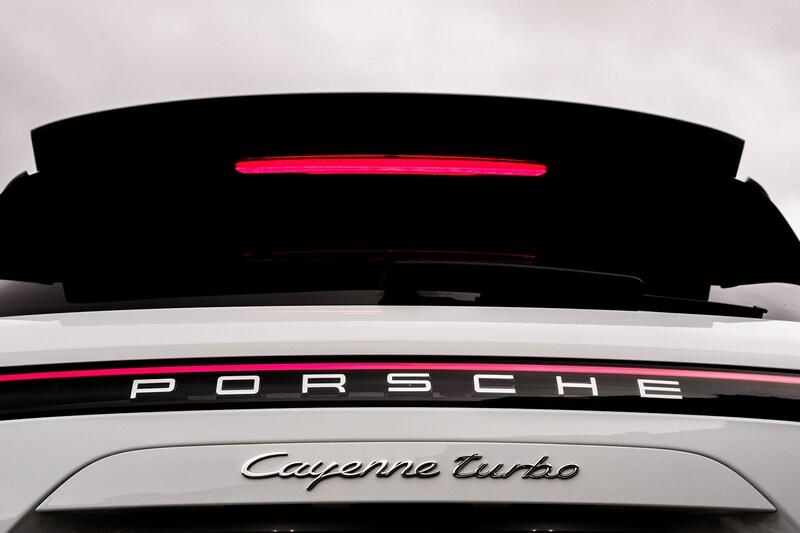 We’d suggest the standard Cayenne’s the one to buy unless you’re looking for serious performance – in which case you’ll want the Turbo. 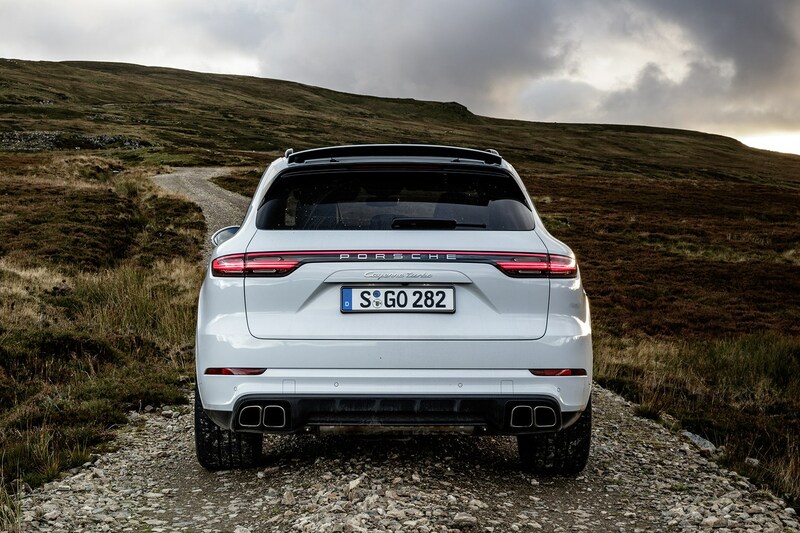 The Cayenne S seems to occupy a strange middle ground where you get a bit more performance but no more excitement, and for most drivers the price jump simply won’t be worth it. 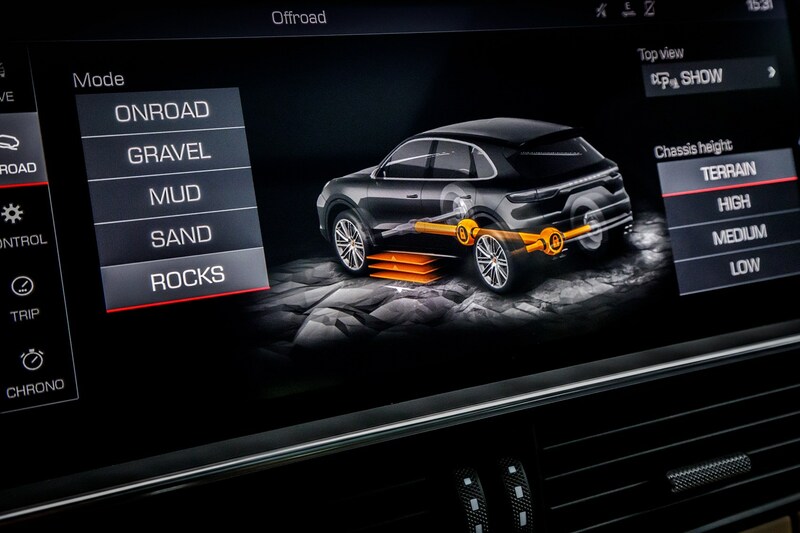 Where it gets interesting is with the Cayenne E-Hybrid. 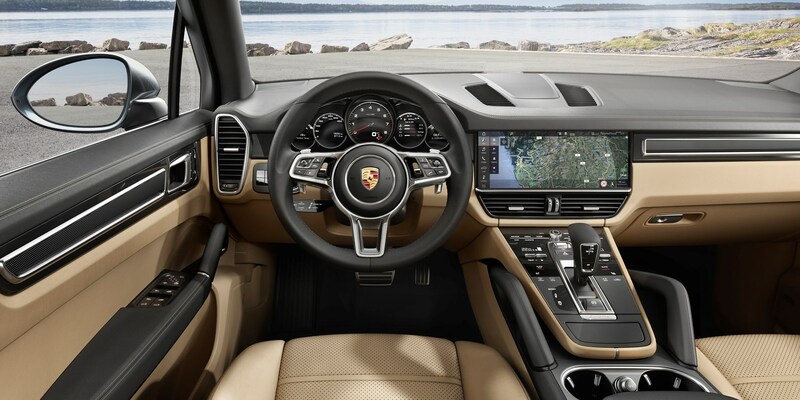 If you can charge it regularly, it’s very economical around town, but still drives like a Porsche away from urban environments, meaning it could well be the pick of the range for many buyers, as it manages to blend performance and economy effectively. Deals are unlikely here – go in with your eyes open and your wallet primed. 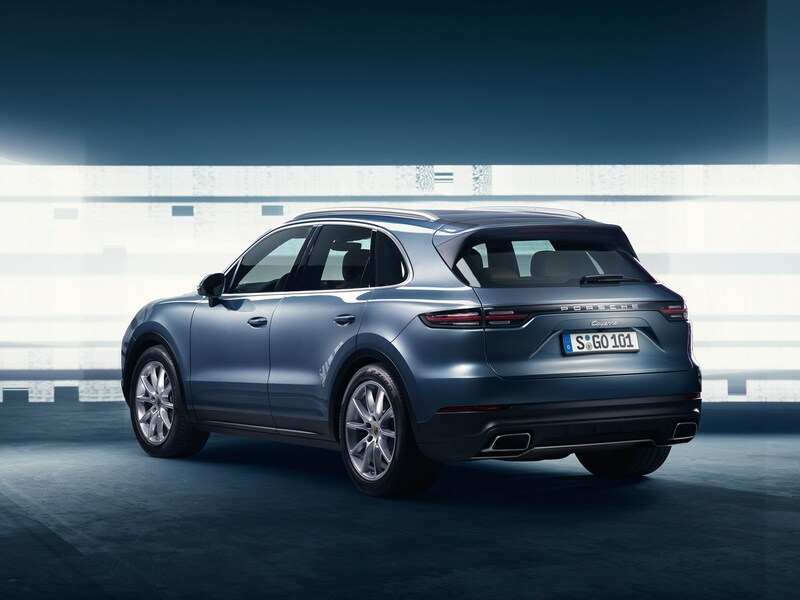 On the whole, Porsche fans are quite resistant to change (note the backlash when the 911 swapped from air- to water-cooling) so it’s fair to say a diesel powered SUV in the form of the first generation Cayenne was a bit of a shock. 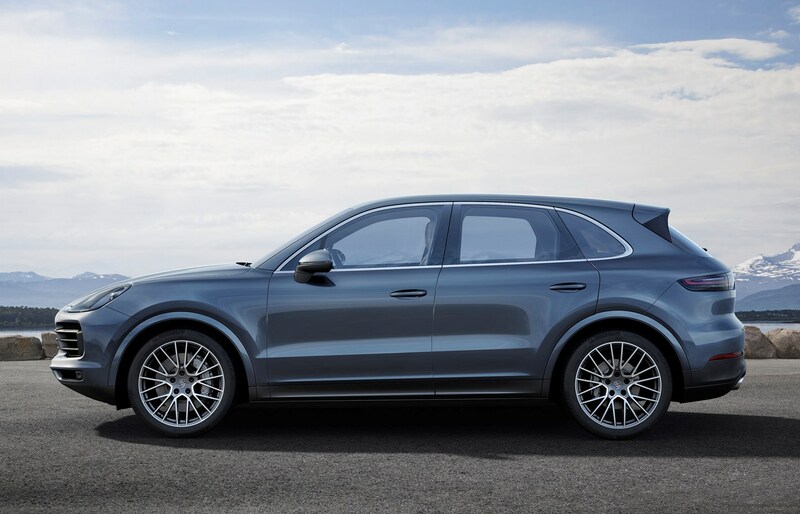 As with most things though, time has brought about a softening to the car’s styling - and to opinions of Porsche making an SUV at all - the latter aided by the fact the Cayenne and Macan effectively helped the marque stay afloat. 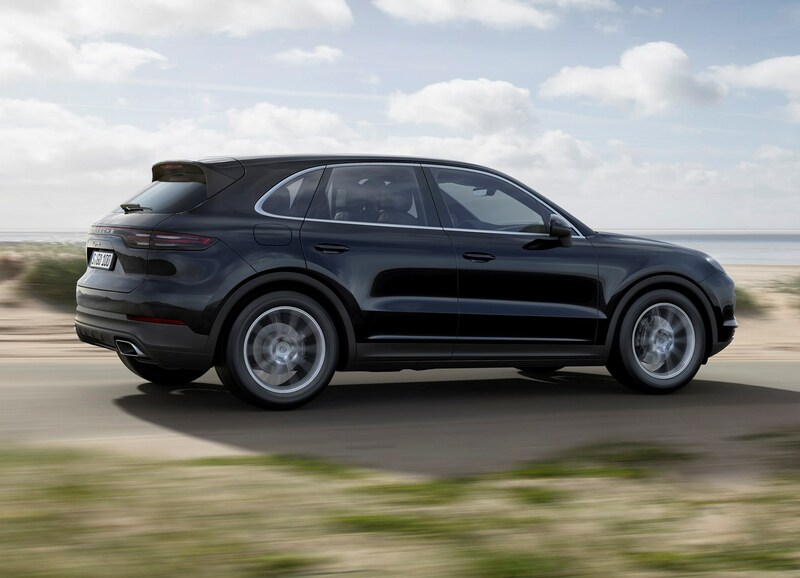 The good news for purists this time around is that the diesel Cayenne is no more – replaced by a V6 petrol version with its performance and economy boosted by electric power. 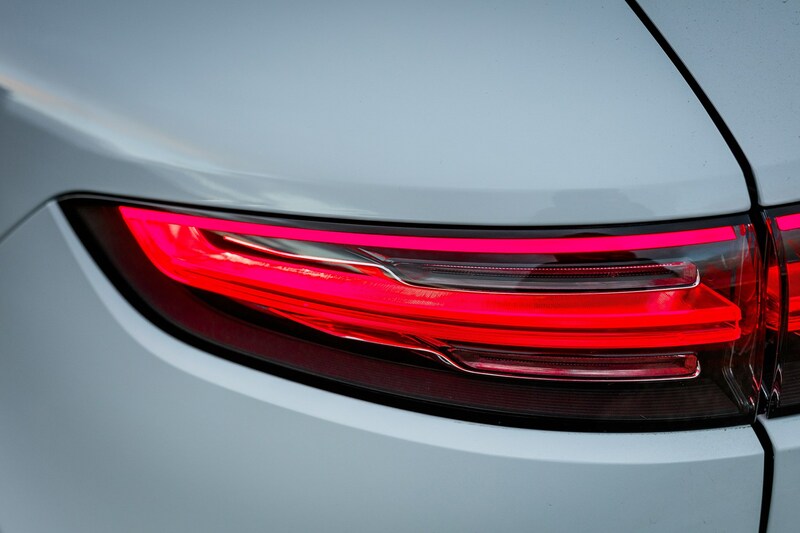 The question now is, what’s more Porsche, a diesel or a plug-in hybrid? 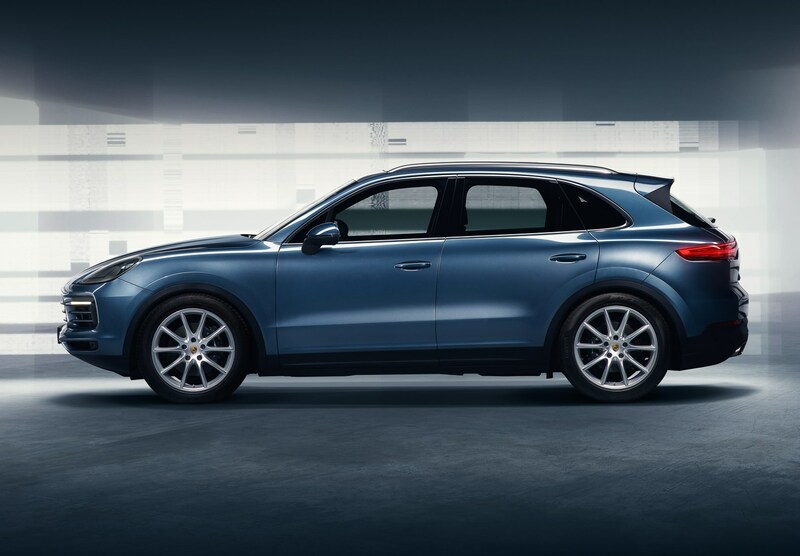 The first thing to flag up in answering that question is just how little compromise the (in theory) eco-friendly PHEV Cayenne asks you to make in the performance department. Powered by a 340hp and 400Nm 3.0-litre V6, the E-Hybrid is further boosted to a stanch 462hp and 700Nm by battery power, delivered to all four wheels via an eight-speed automatic gearbox. 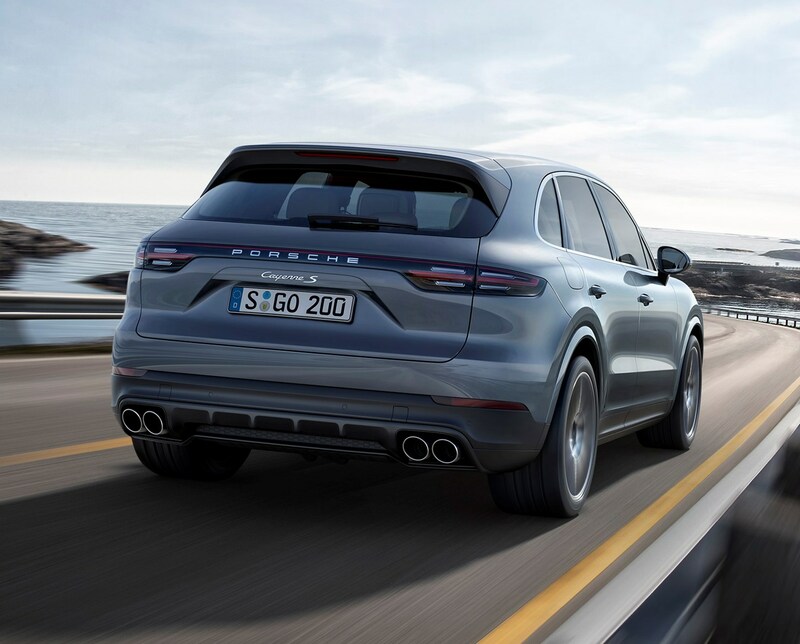 Even though it weighs a couple of hundred kilograms more than a standard Cayenne the E-Hybrid races from 0-62mph in just five seconds, beaten only by the range topping Turbo. 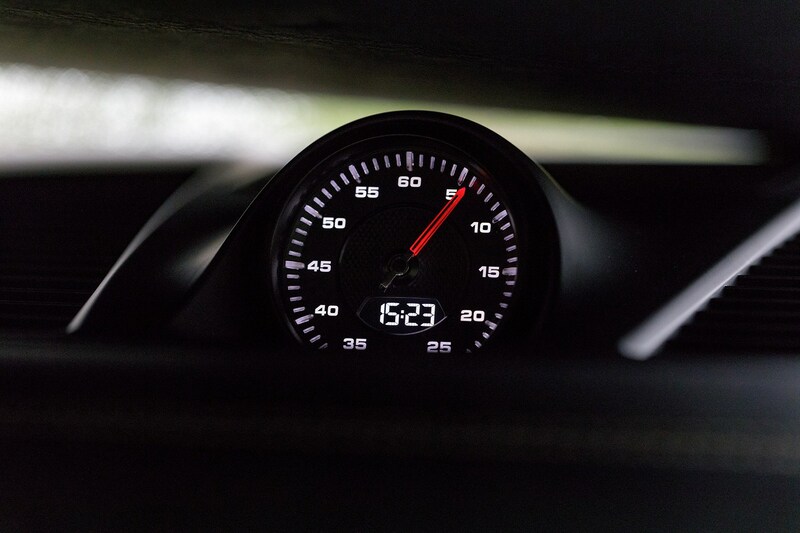 Make no mistake, this is a fast car, whether you are pulling away from the lights or calling upon that mountain of power while overtaking on open roads. 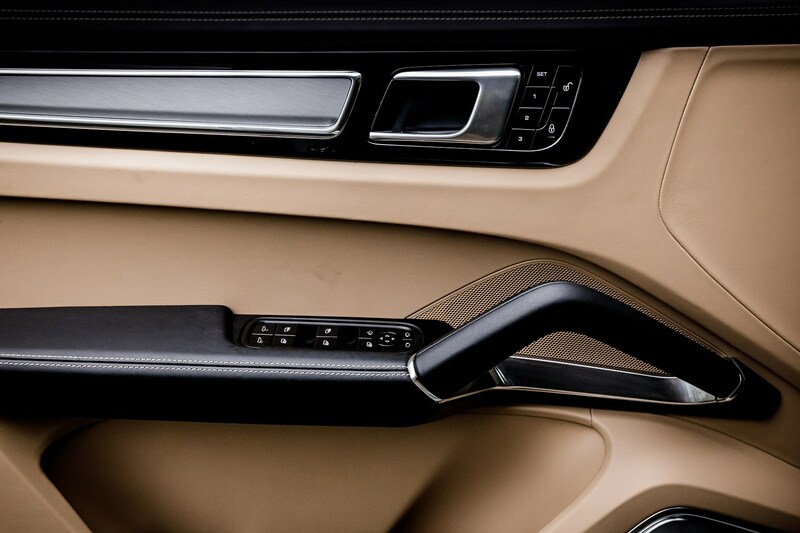 Plus, thanks to its six-cylinder engine, it even sounds good while doing so. 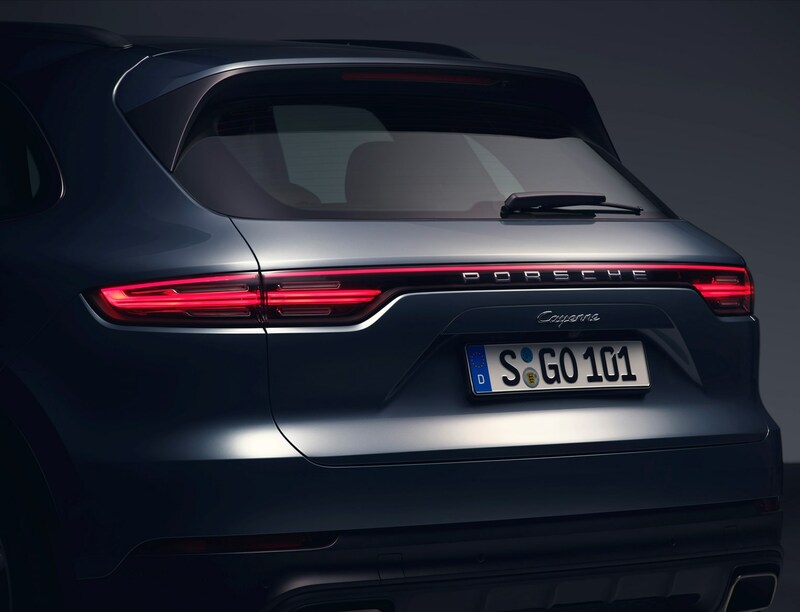 The extra poundage does makes itself known while cornering – no Cayenne model can be described as a slouch in this department, but there’s a sense of additional mass in the e-Hybrid over more traditionally powered versions. 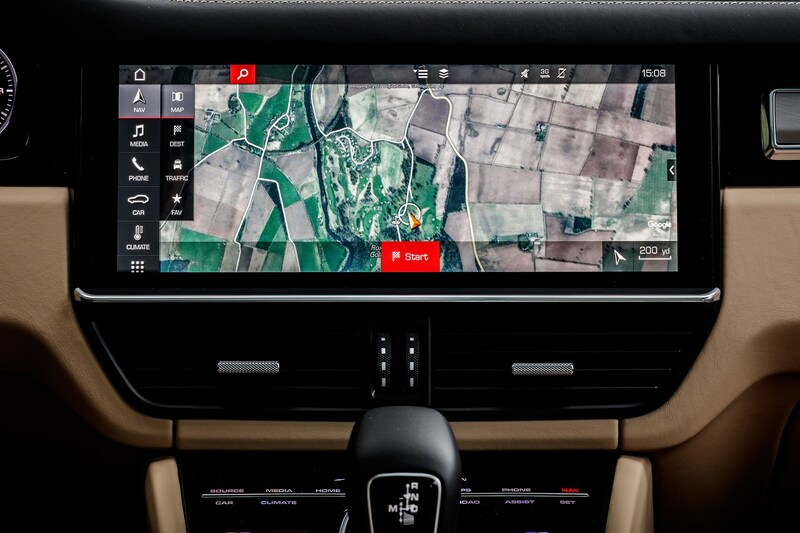 That said, when equipped with optional air suspension like our test car (a £1,511 extra), the Cayenne displays a huge breadth of talents, from cushy cruiser to tied-down driver’s machine. In its firmest Sport Plus mode (selected using a steering wheel mounted switch) the E-Hybrid eschews bodyroll extremely well. 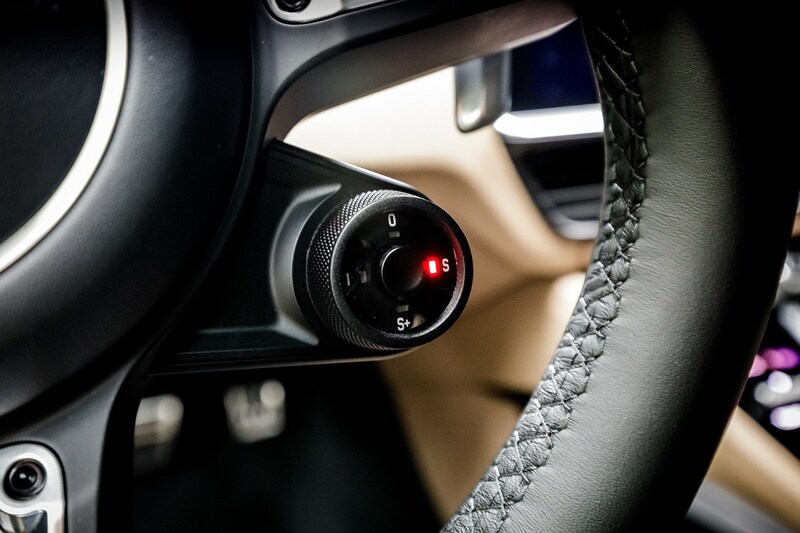 Grip going into and during cornering is huge and the all-wheel drive system cleverly doles out power to keep you tracking your line. The only problem on a narrow British country road is the size of the Cayenne – at more than two metres wide this is an SUV you have to place carefully. 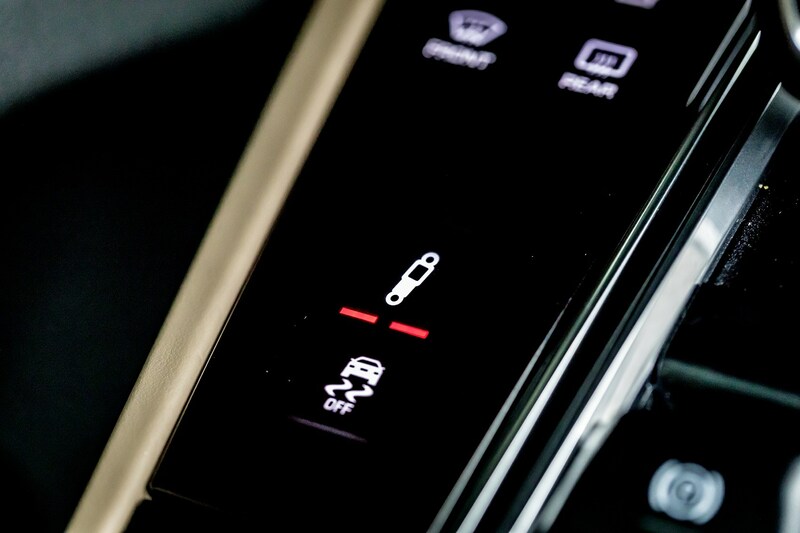 While Porsche as a manufacturer is not as generous in its standard specification as say, Lexus, the Cayenne E-Hybrid ticks most of the boxes you’d expect. In addition the PHEV model gains Acid Green brake calipers and the same colour surrounding all the model designation badges. 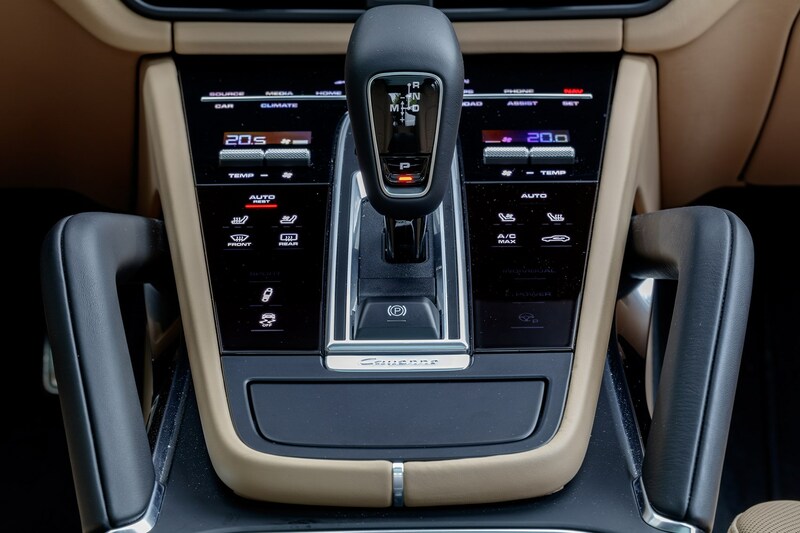 The interior of the Cayenne now takes the form we first saw in the Panamera, with a large screen and the centre console's buttons replaced by a see through haptic panel. 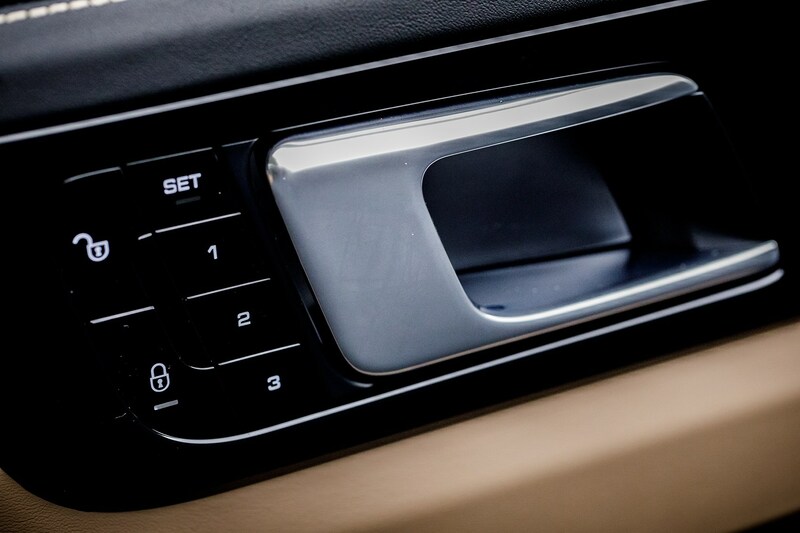 It looks fantastic - tastefully restrained yet high-tech - although you need to keep on top of fingerprints. 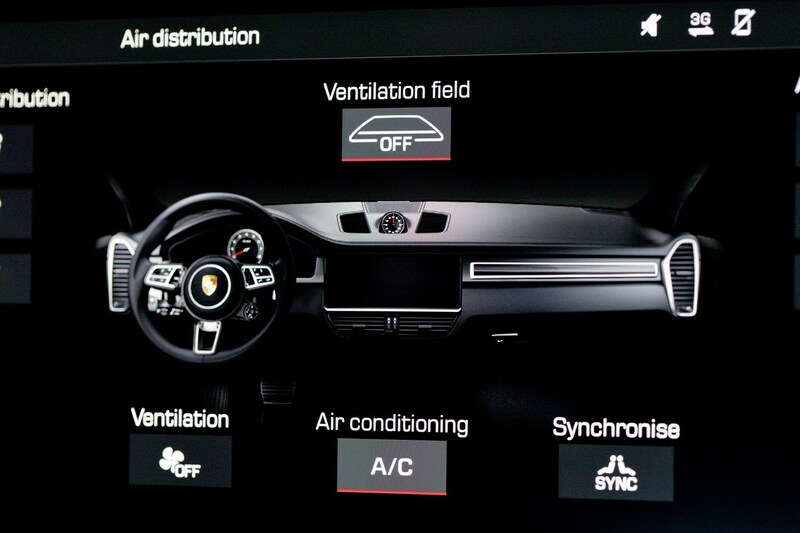 This being a Porsche means you get a set of wrap-around dials with a big analogue rev-counter in the middle - those either side are digital screens that you can set up how you want, with turn-by-turn navigation or information on the hybrid system, for example. The fact you still get a proper tacho helps visually set this particular SUV away from more workaday models, although don't expect the thrilling redline chasing you experience with the marque's more exotic engines, such as those in the 911 GT3 or Cayman GT4. It's still a nice thing to look at, though. 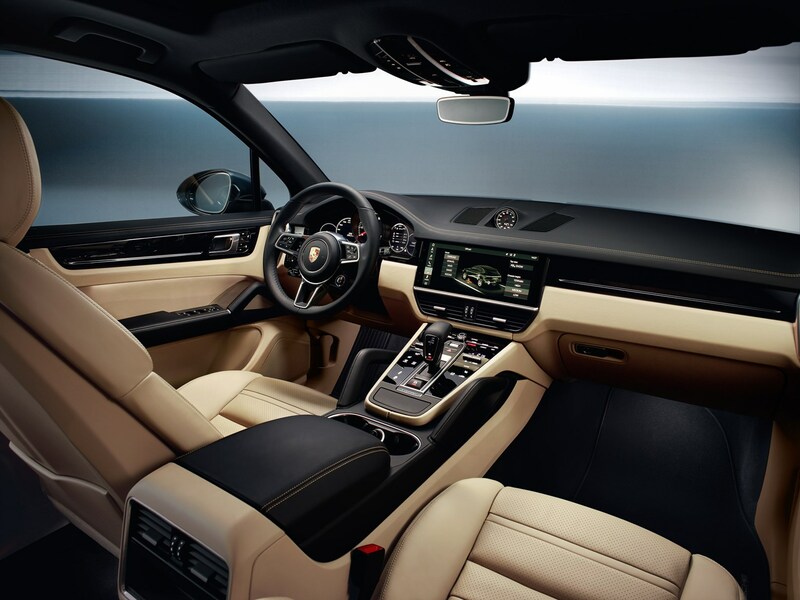 Options on this particular car worth considering are the leather interior (£2,331), seat heating (£308) and Porsche InnoDrive including adaptive cruise control (£2,172). 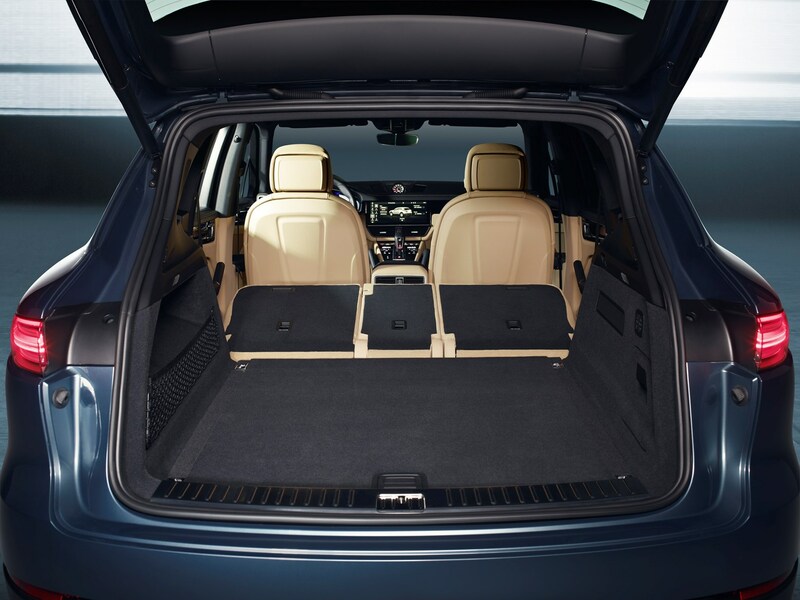 In terms of practicality you can expect the Cayenne to fulfil all your needs, with 40/20/40 split rear seats, four USB sockets, three 12v charging points, and a boot that can expand to 1,610 litres. It's worth remembering though the case containing the E-Hybrid's charging cable will take up a small amount of that bootspace. 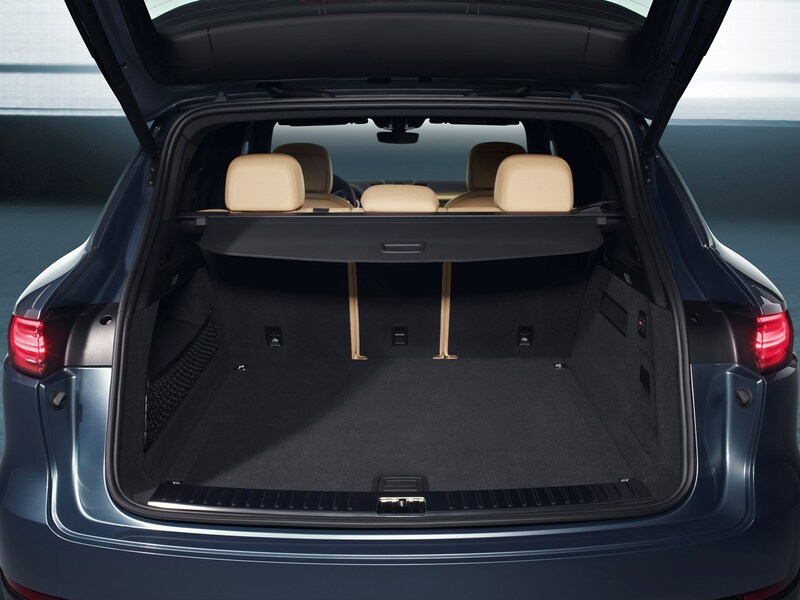 If you are disciplined enough to keep it in the case, that is, rather than sprawled out across the boot floor like a snake's nest. 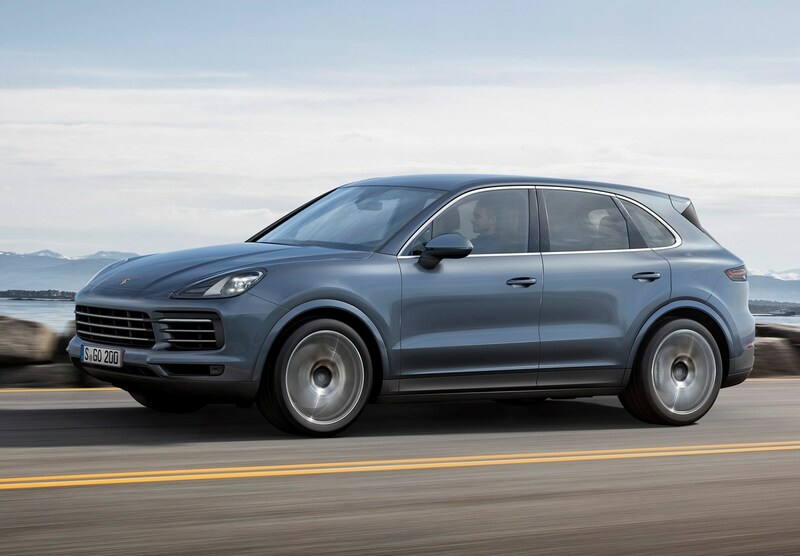 There’s an element we’ve left until last here and that’s the green credentials of the E-Hybrid – when driven sensibly enough Porsche claims 83.1mpg is possible, with 71-78g/km produced depending on the size of the alloy wheels. Best of all if you spend all of your time in town there’s an all-electric range of roughly 25 miles, but we suspect there are better city-car solutions if those are your criteria. The bottom line here really is that the electrical assistance in this hybrid model is much less spiritually jarring and intrusive than the old diesel. Yes you have to plug it in every now and again to get the best from it, but that’s a small price to pay for all that performance and a proper Porsche soundtrack. 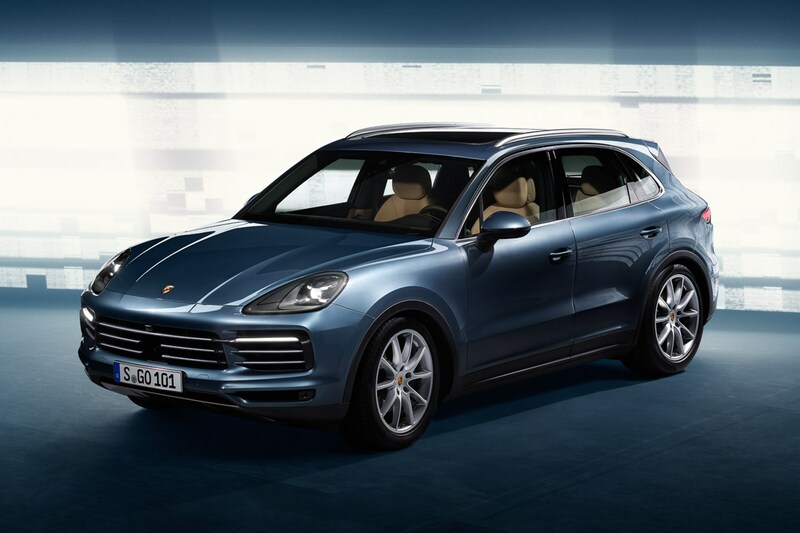 September 2017 – Third-generation Porsche Cayenne is available to order in standard and S guises, with first deliveries in spring 2018. October 2017 –Turbo version also available to order. 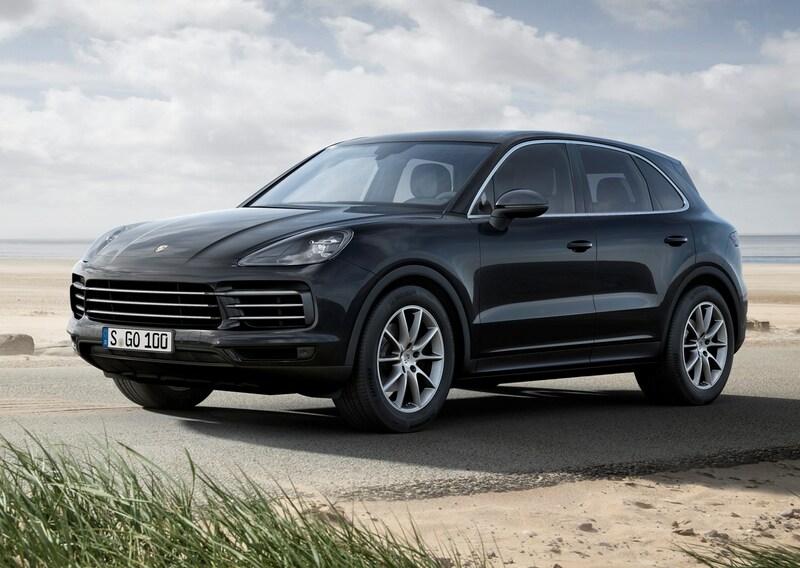 If you’re buying a new Cayenne then you’ve got some difficult choices ahead of you. 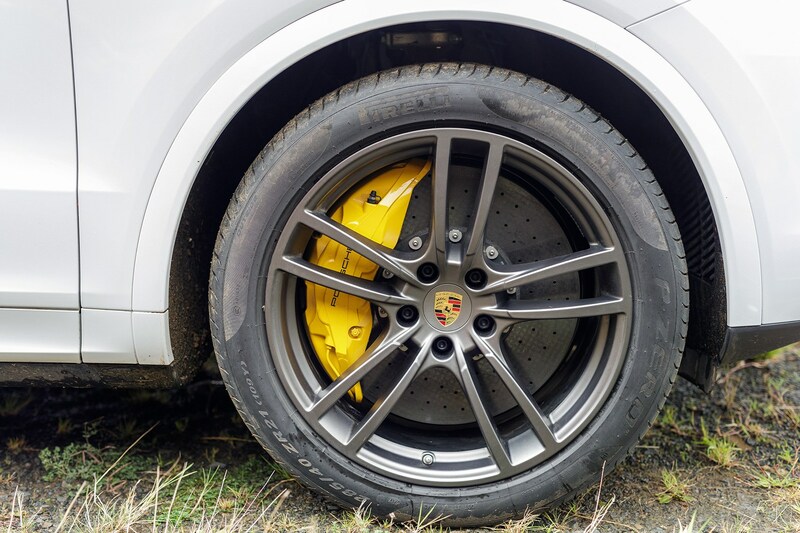 We’d expect your Porsche salesperson to guide you through the engines and optional extras available, but it’ll pay to do your research here because you’re in danger is spending a huge chunk more cash than you bargained for otherwise. There’s a huge number of options to choose from, so don’t become overwhelmed when the list is presented to you – go in knowing what you’d like in particular and try not to become easily swayed by the salesperson. 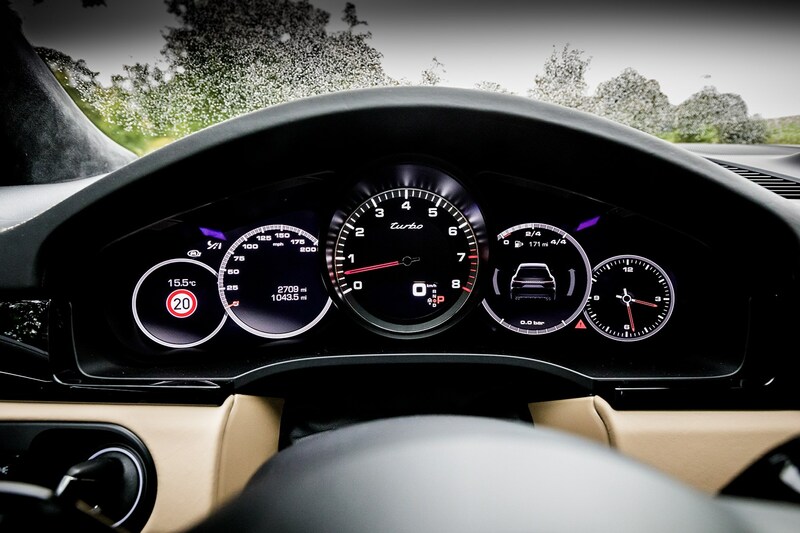 Watch out for choosing a specification that’ll lessen your car’s appeal to future secondhand buyers. 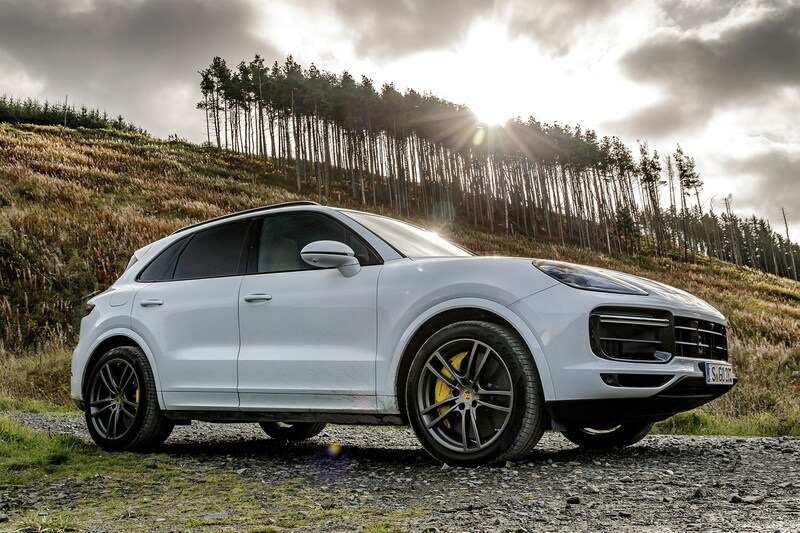 With so much to go wrong on the Cayenne, this is a veritable minefield – even with the Porsche’s excellent reliability record. 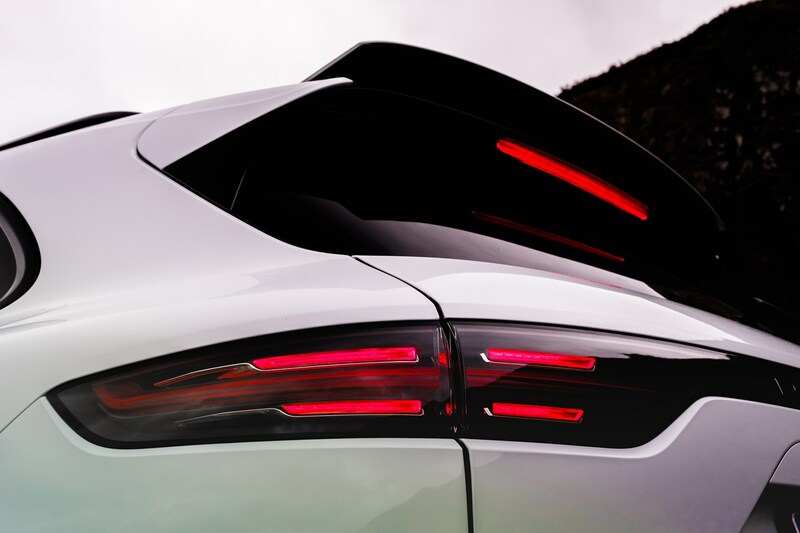 The best cars will be sourced through Porsche’s dealer network and will be thoroughly checked and prepared before sale, so we’d suggest that should be your starting point even if it’s a little more expensive than cars in the classifieds. If you’re intent on buying privately to save some cash then ensure you go over the car with the finest of toothcombs to make sure everything works as it should. The electrical systems in particular will require detailed investigation because a fault here could prove seriously costly to fix. Watch out for other warning signs such as kerbed alloys and worn tyres – these items should have been addressed before advertising the car for sale and if not, could indicate lacklustre servicing and maintenance in other respects. 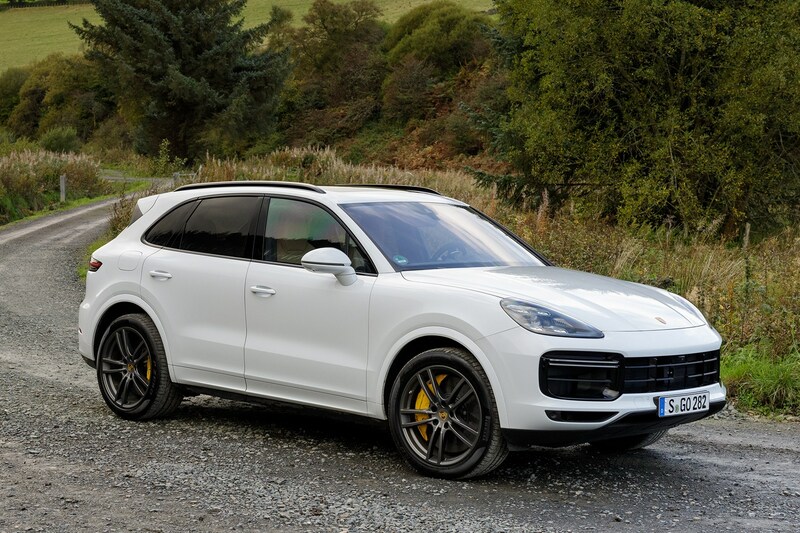 With that in mind, any Cayenne should come with a detailed record of work done – and it should have been done at a Porsche main dealer or at the very least a well-regarded and competent specialist. 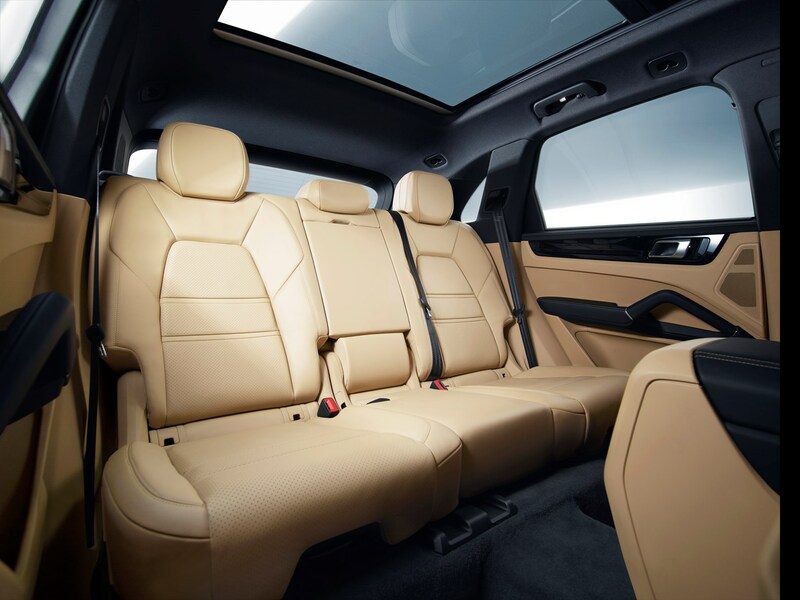 Keep a close eye on interior fittings too – this is a capable family car but younger children may have been set loose in there. 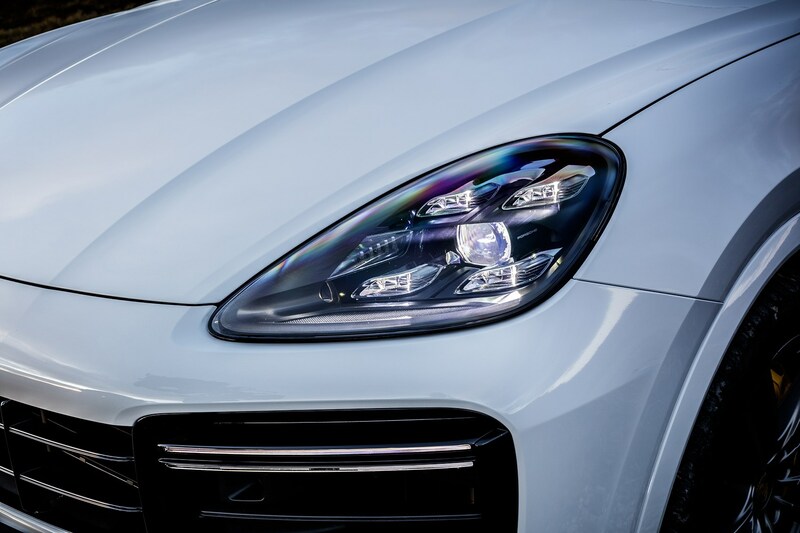 Regardless where you choose to buy your Cayenne, get yourself a Parkers Car History Check to ensure there’s no hidden history you need to know about, like outstanding car finance for example. The key here is preparation. 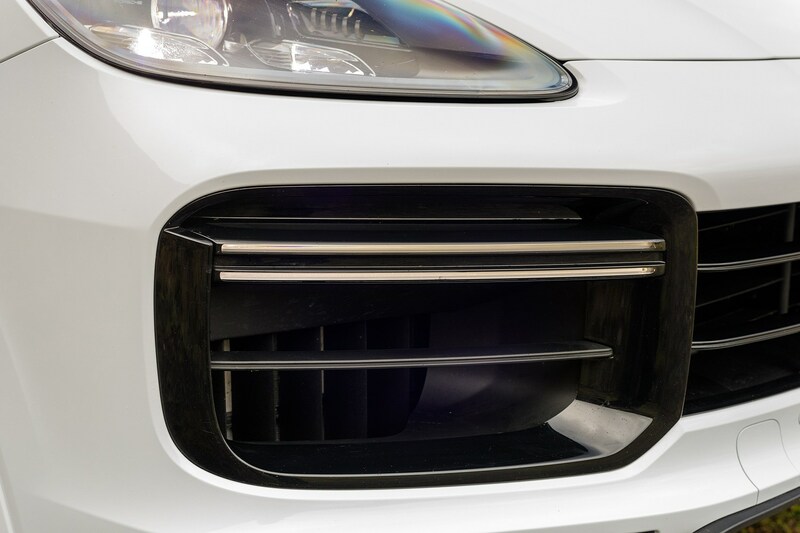 Ensure your car is among the best out there by getting wheel kerbing or paintwork blemishes addressed before you advertise the car. It’ll also pay to have a clear and comprehensive set of pictures taken, both inside and outside the car, and preferably a walk-around video that you can upload to classifieds websites. Price your car accurately by getting a paid Parkers Valuation, which allows you to adjust for optional extras and mileage. 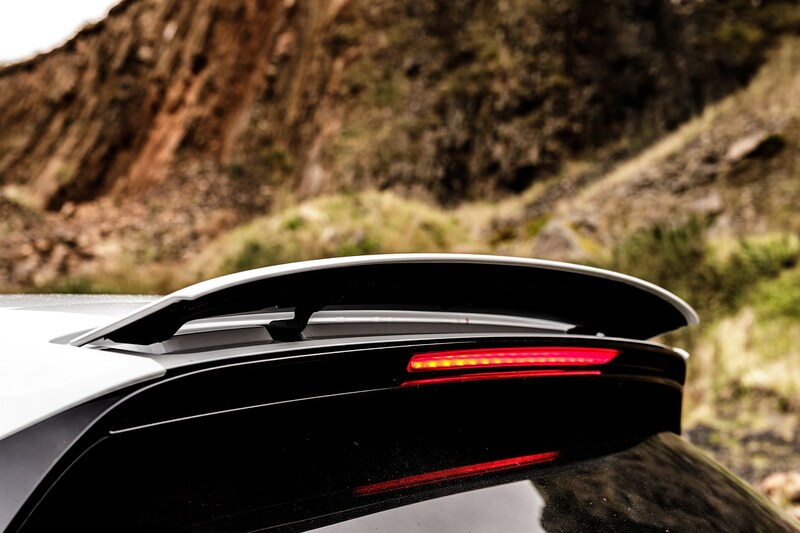 It’s the only way to get a proper indication of what your particular car is worth. 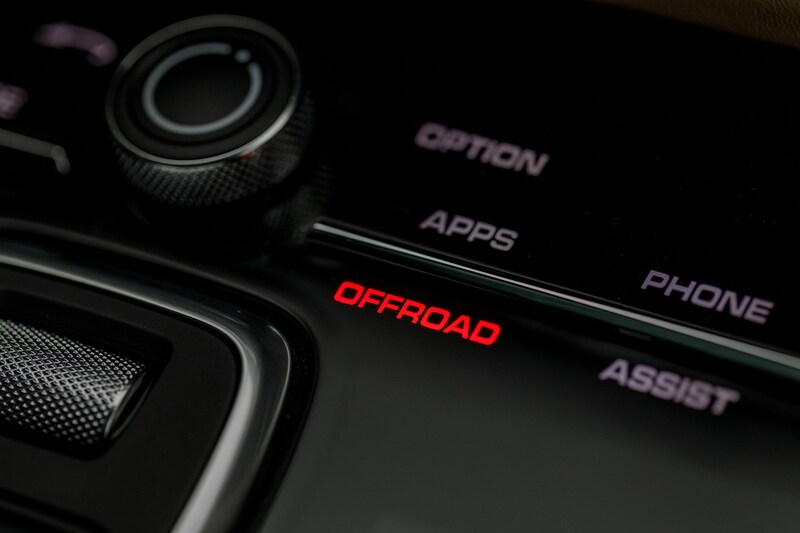 If you bought the car new and specified a selection of optional extras, make sure you highlight in the ad (and the pictures) what they are and what value they add to owning the car.